I was aiming for a very soft pencil that could deliver a bold placement with powder products. The density at the base offers stability while the thin tip delivers a precise and strong application. 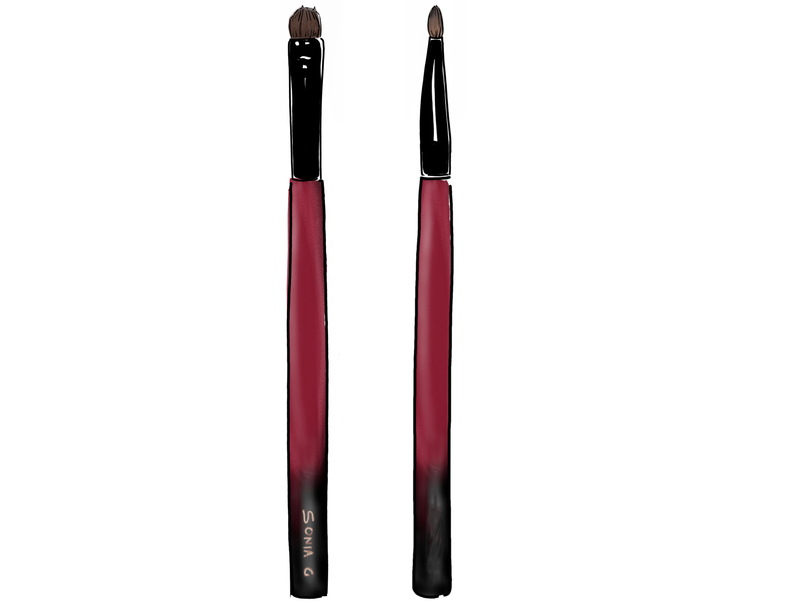 It’s purpose is in between a push liner and pencil, offering a lot of control with the application without harsh edges. Use short strokes along the lashline for extra stability and control. Use it at a slight angle for a wider and softer definition. Waw I just saw your comment, fist of all, I want to sincerely thank you for your kind words, it’s the best feedback that I could wish for, I am not sure what to say… I think no words can show the emotion I am feeling today..
With regards to this Smudger One and your question, it’s an accident that this post is published, I think I had one eye on my baby and only half of the other on what I was doing and must have hit the “publish” button by mistake. I will keep this page as published as it has already been seen anyway :), I can confirm that there are more brushes, I am preparing all the pages about them so that I am ready to publish them whenever all is ready, hopefully soon but not sure exactly when, I will probably know in the upcoming weeks and will be able to inform you asap. Since it’s a long process to make the handles, we are trying to anticipate with the batches but because it’s a holiday season and so many people are involved, we can only see how it goes day by day. I am so excited about them, and also about the ones being designed because it’s a continuos process and I am so crazy and happy that I am here today.